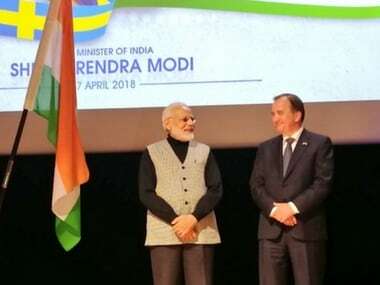 Stockholm: India is going through a period of change and the government in the last four years has worked towards building a developed and inclusive country, Prime Minister Narendra Modi said in the Sweden capital on Tuesday night. Addressing the Indian diaspora at the Stockholm University, Modi said earlier removing poverty was limited to just words and slogans, but his government was committed to poverty alleviation and was using empowerment as a tool to achieve its goal. "The country is going through a period of change. 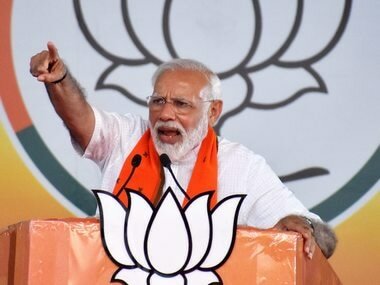 Presently, there is a government in India which is working day and night for the country's prestige, self respect and is taking it to new heights in the 21st Century," Modi said amidst loud cheers from the audience. "In the last four years, the government has worked for building a developed and inclusive India. 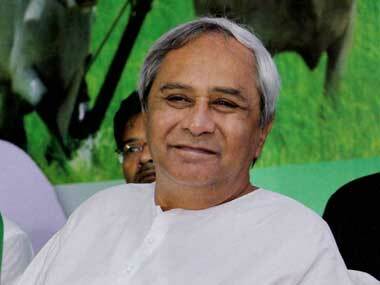 It has worked for creating a New India by 2022," the prime minister said. Swedish prime minister Stefan Lofven, who was also present at the event, said Sweden highly values its partnership with India. He lauded the Indian diaspora for its contribution to the Nordic country. Lofven said his talks with Modi on Tuesday had helped the bilateral partnership take a "great step forward". Modi, in his address, asserted that India's stature has increased at the world stage. "Be it Africa or small Pacific countries, or ASEAN or Europe or Asia, all of them are looking at India as a trusted friend," he said. He cited India's entry into the export control regimes of Wassenaar Arrangement, the Australia Group and the Missile Technology Control Regime (MTCR), as an example of India's increasing stature at the global stage. Modi also said that in India, the government is using technology for accountability and transparency. Digital infrastructure has changed how citizens used to interact with the government. Reaching out to the government has now become a practice rather than a privelage, he said. 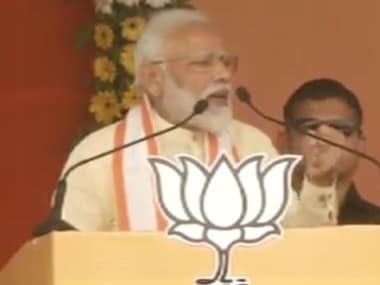 Modi said the perception about the way the govt functions was changing. It is easier to do business in India and the country has jumped 42 ranks in ease of doing business index, Modi said. He also hailed the government's move of implementing the GST, saying the "historic" reform in the indirect tax regime is being increasingly adopted by the industrial sector. In his address, he also said that the Jan Dhan Yojna, Aadhaar and mobile technology had merged to create direct benefit transfer facility. These were allowing welfare schemes to reach their intended targets and had saved $12 billion from ending up in wrong hands, Modi said. 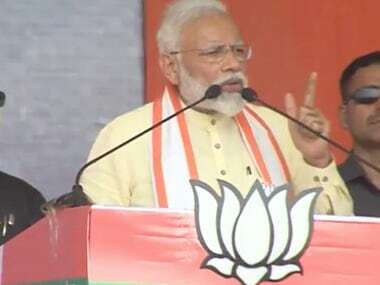 The prime minister also stressed on the government's focus on ease of living and mentioned the 'Ayushman Bharat' — the world's largest health care insurance scheme — as an example of it.